Why me, of course. Apologies where apologies are due, I've been a pretty dire blogger of late. Im blaming a crazy busy flying schedule over the summer months and a general sense of laziness. I hope you can forgive me. Ive also been dabbling in the world of Youtube. As much as I enjoy sitting down to write, there's something much more natural and organic about chatting crap about the contents of my make up bag straight into the camera. 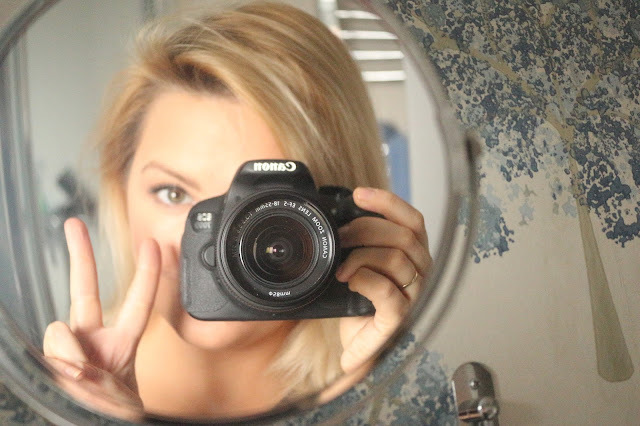 Ive also become much more of a 'Vlog-watcher' than a 'Blog-reader' and so it felt like a natural step to take. Ive been taking some time to learn the basics. I've bought all of the equipment needed and I'm gingerly stepping into the world of Youtube. Ive downloaded Final Cut Pro, Ive upgraded my DSLR and I've bought one of those ring light thingies. I basically have all the gear and no idea. But il get there. So if you fancy pre-subscribing to a channel with no subscribers, no videos and no views - (who wouldn't?!) - then please do. You can find me on youtube under the username Mimi Flys. I expect to have a video up soon, and il update on here once the channel has launched. Id also love to hear from any fellow bloggers who are also just starting to create content for Youtube. Il also happily accept any video requests if theres anything you would particularly like to see. I'm already planning some 'come fly with me' style vlogs, perhaps a flight attendant Q&A and of course a heathy amount of beauty videos. So if you have any ideas, please do share them in the comments below.